So 5th Ed. 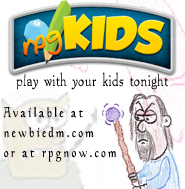 launched and it’s a thing, and I want to get back to doing what I like with D&D, which is talking with and helping DMs with their games. So I’m bringing back my old (and ENnie nominated) NewbieDM Minicast. It’s been far too long. 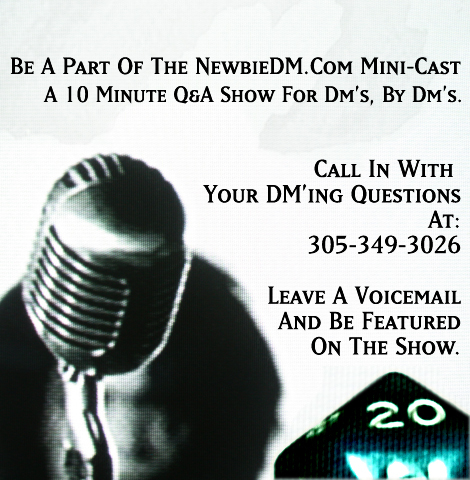 If you’ve never heard of the minicast, it was a 5-6 minute long podcast where a DM from the #dnd community and I would answer a listener’s voicemail with a question about his game. It was fun to do, and it was well received. Help me get the minicast back online. Feel free to repost, share and let others know! Thanks. I’m looking forward to the return of the podcast. My own group probably won’t get to D&D 5e until 2015 (after the core books are released and we have time to digest the rules) but by then you’ll have a nice stable of podcasts for me to go back and listen to.